Anders advice on how to set up your MC for driving on gravel. 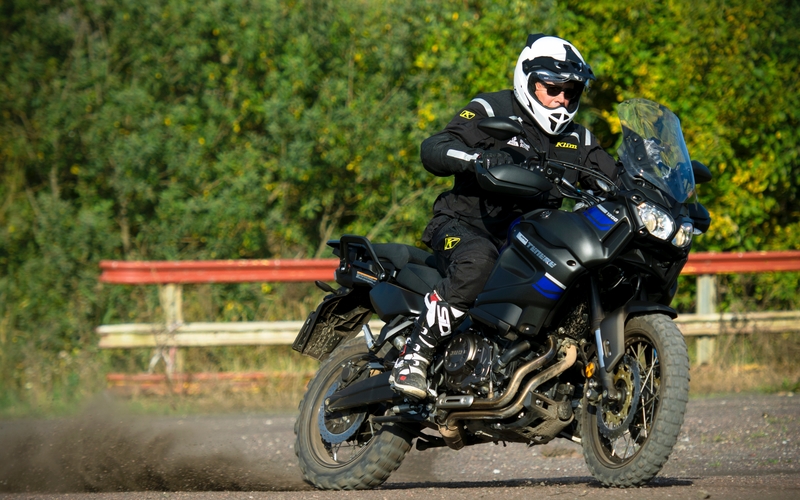 I’m driving the best of the best: a Yamaha XT1200ZE, which has very good components and is easy to adapt for adventure driving. The steering wheel lets me just break the fork angle to ensure that maximum pressure occurs on the front wheel axle. I’ve been driving several different brands over the years, and always chose to turn off the ABS unit to effectively use the brakes. Yamaha differs as the ABS unit is capable of handling a high friction before being turned on. I am very pleased with the function and I can effectively use the brake. I shut down traction control for spinning and winding. A rough pattern with studs goes down into the ground and provides a better grip on gravel and clay. Many of the adventure tires are really good at gravel but worse in clay. This is because the studs are on a cross-tire has a different pattern, which prevents the wheel from slipping laterally. In order to benefit from the pattern in the tire, it is necessary to have the correct tire pressure. I have been driving a tire pressure of 0.9 kg in both front and back. Then you get a good grip and avoid breaking the rim. 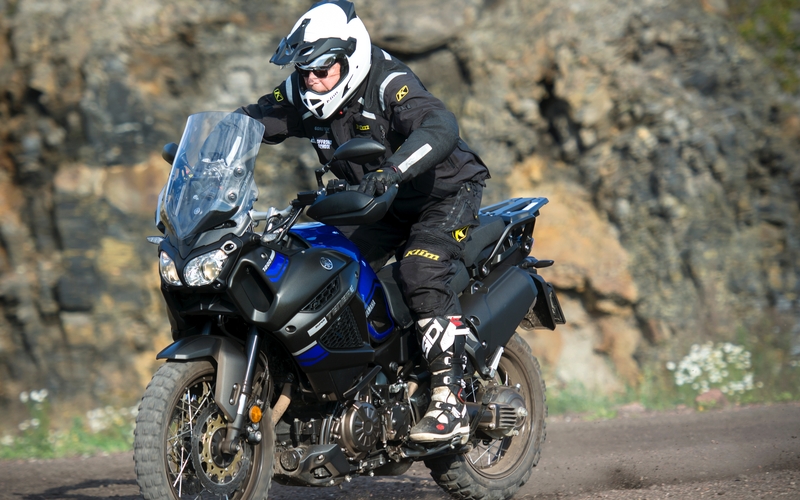 As for the dirt road, I want to rely 100% on a good grip on the front wheel and I think that TKC 80 offers. It provides good track stability when braking. During hard braking with the front brake sits tire well in the material. When driving on recoils and looser surfaces, I think the tire provides a surprisingly good bracket. I have tested the tire on a number of motorcycles. To get a good bracket it is necessary to find a tension on the suspension that gives maximum brackets, yet makes the bike easy to get into the curves. For those who want a good technique on the gravel road. You drive regularly. We start the training on a gravel and go through basic technique. FULLY BOOKED! For those who want a good technique on the gravel road. You drive regularly. We start the training on a gravel and go through basic technique. Fyll i din e-postadress för att prenumerera på Uphills nyhetsbrev. 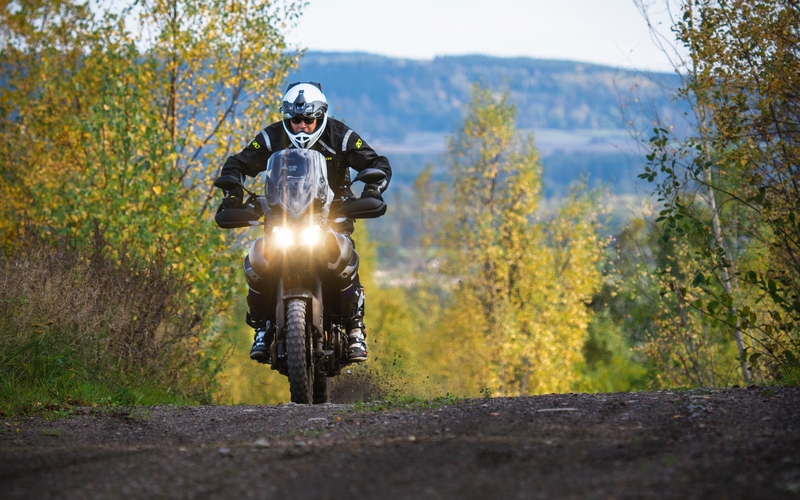 Experience the freedom – drive your MC offroad! We are Uphill Offroad School. We organize courses and training camps for offroad MC riders, both beginners and experienced. With us, you’ll meet skilled trainers, drive on stimulating and exciting courses – and get personalized feedback on your development.